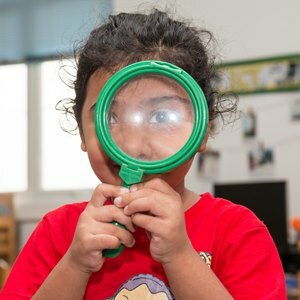 The school year is in full swing, and our Community Service projects are starting up at APS! Creative task-orientated activity based predominately on ways in which the school environment could become more environmentally-friendly. Winning entries either created or rewarded. Weekly visits to Thao Dien School to create educational activities for the children. 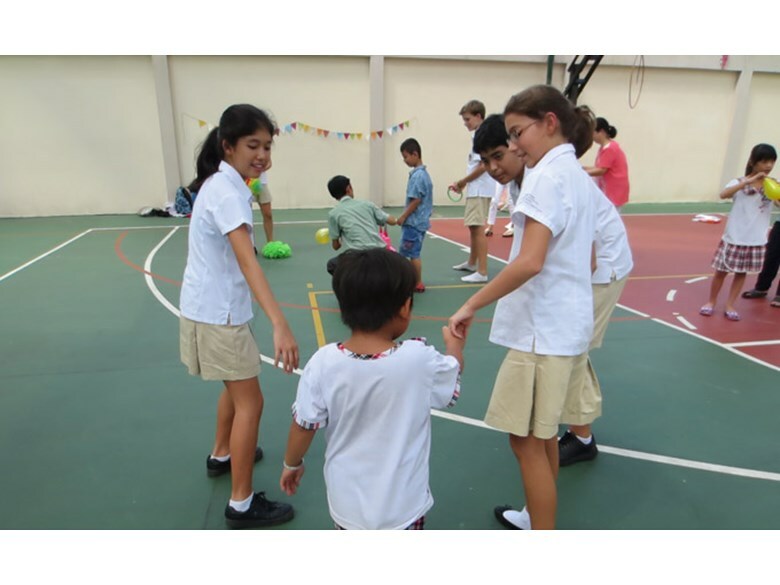 This project helps students understand disabilities whilst gaining leadership and communication skills. 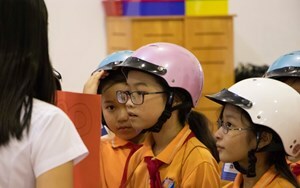 Campaigning to raise awareness on the importance of wearing a helmet and road safety. Students will create informative awareness material that will be given to local Vietnamese schools. Students learn about HIV/AIDS and receive a talk from one of the Fathers at the house. The project involves activity afternoons for the children at Mai Tam Home who are affected by AIDS. 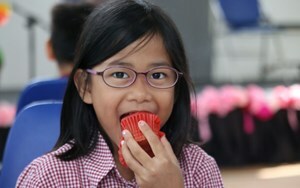 Mai Tam is an organisation supported by Sunshine volunteers and the PTG. Student led committees raising awareness and funds for projects to reduce marine debris and stop shark finning. 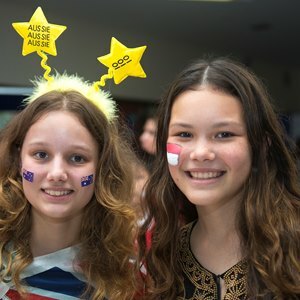 This project is linked to the Year 12 diving trip to the Philippines. 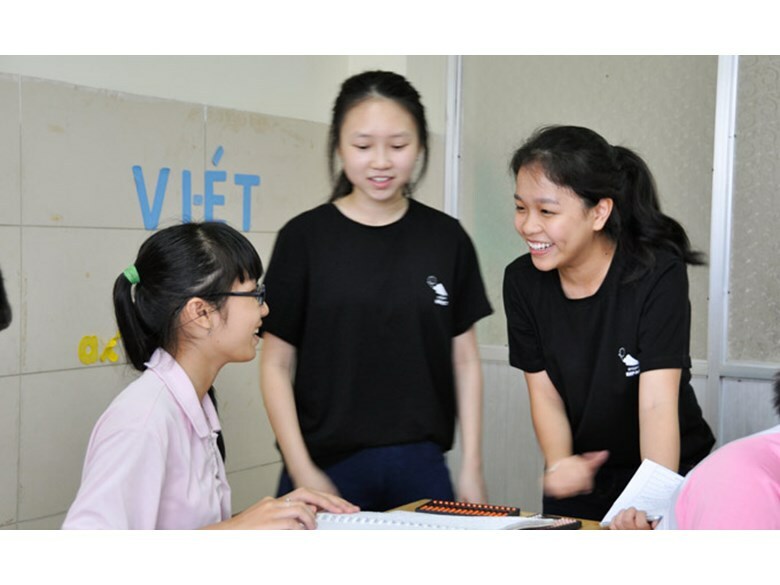 Student led committees, raising awareness and funds for education development projects in the provinces of Vietnam. Student led committees, raising awareness and funds for operations for children with heart defects. 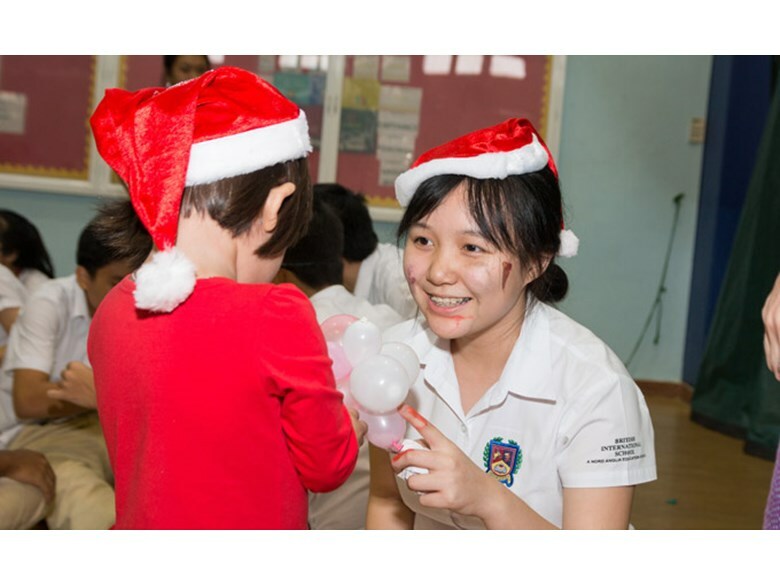 Student led committees raising awareness and funds for children with cleft palates. Student led committees, raising awareness and funds for the orphanages and efforts for the NGO Poussieres de Vie. This project is linked to the Year 12 trip to Kontum. A rewarding and fun opportunity to work as a group, teaching English at a local school. 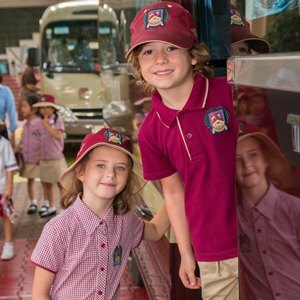 The students are aged 7-9 and full of enthusiasm and energy. 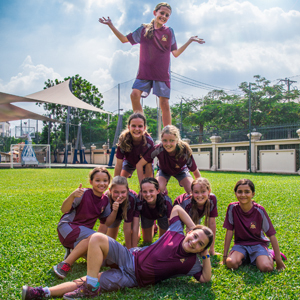 The main focus of lessons is practising for a play/show at the end of Term 2! Open to Year 10-13. Termly visits to Ky Quang Pagoda to play games and do creative activities with the children. Sign up is per visit and we have a student committee in the 6th form to help us plan activities. Year 7-13. Weekly creative sessions in the BIS Garden with the aim to make it into a great space where students can relax! Year 7-13. Growing Minds is a service activity that enriches the education of students from Binh Tho school who do not have the facilities to fully enjoy subjects like art, science or gardening. 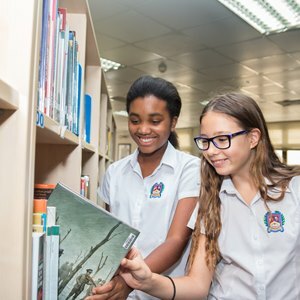 Growing Minds runs termly projects that allows visiting students to experience the exciting resources available at BIS and builds leadership skills amongst BIS students who act as leaders of small learning teams. Year 7-13. 'Be the change you want to see in the world’. Follow Ghandi’s advice by raising awareness of environmental issues with a local theme. This club looks at making BIS a Greener place! Year 7 - 13. Weekly visits to the cancer wards to do activities to support the lives of the children and their families of the HCMC Cancer ward Year 10-13. Bi-weekly visits to our friends at Thien Phuoc. Students from APP and APS visit to play and have fun with the children at the centre. Activities are fun and simple – starting from just smiling and hugging through to anything from drawing and music to playing in the soft playroom BIS built there. Year 7 - 13. Weekly visits with games and interactive learning. Year 7-13. Weekly trips to TX to use their pool to teach children from the Christina Noble Foundation how to swim. Year 10-13. 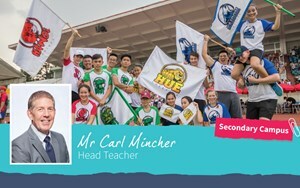 A non-profit student volunteer group where students are given an opportunity to get creative and support different organisations in HCMC, by raising awareness and funds for the particular cause. 2017-18 partner - Poussieres de Vie. Year 9-13. Weekly creative club that designs and makes things for children at the cancer wards as well as campaigning and raising funds to support with treatment. Year 9-13. This club is for those passionate about creating a more sustainable BIS. 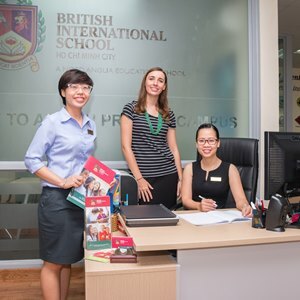 We plan on not only implementing creative and proactive measures to improve BIS’s impact on the environment but also educating students and staff about issues pertaining to the environment. Year 7-13. Tournament held in December for our Community Partners and students from all three Campuses. Year 5- 7. Interested Year 10 & 12 students can coach one of the teams.